Since we are deep into National Work and Family Month, I thought it would be a great time to remind us all (including myself!) 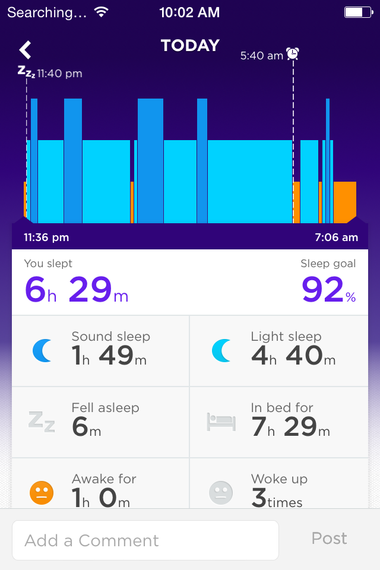 that sleep can impact our ability to find an effective rhythm between work and life. It's 10:02 a.m. as I write this, and I should be well awake by now... but forgive me if I'm a little groggy. As you can tell from the screenshot of my activity tracker, I did not get enough sleep last night. A little too much caffeine late in the evening along with staring at the screens of my television and iPhone before bed caused me to miss the mark on getting adequate sleep. As a work-life balance researcher, a good night of rest is important to me in order to help me practice what I preach. That is, finding an acceptable and appropriate rhythm between my family life and my role as a college professor hinges, in part, on my ability to get sufficient rest. And since we are deep into National Work and Family Month, I thought it would be a great time to remind us all (including myself!) 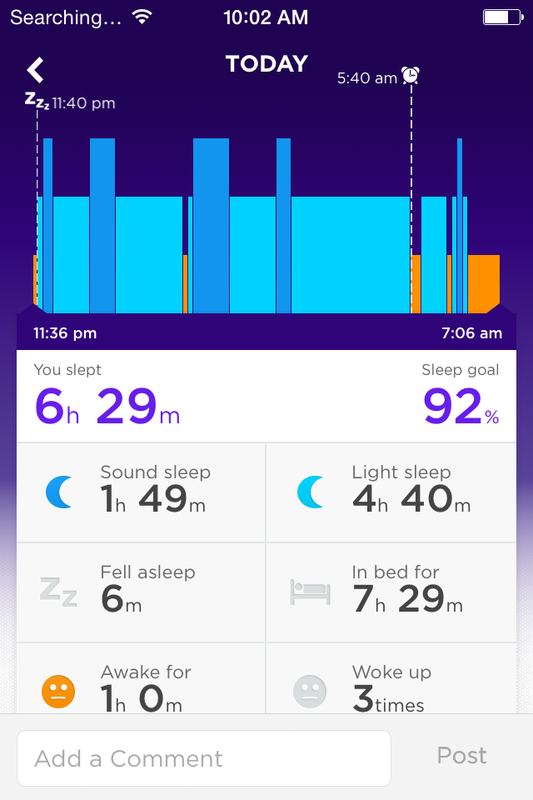 that sleep can impact our ability to find an effective rhythm between work and life. Not getting enough sleep can lead to a host of negative outcomes that in turn can make it hard to effectively juggle work and life. For example, lack of sleep is associated with increased stress levels and decreased decision-making ability. These effects can play out at work and in other areas of life. If we fail to get enough sleep, we are more likely to make poor decisions at work. We may not make major poor decisions, but they are poor enough that it causes us to spend extra time in the office or bring work home that we hadn't planned to finish after hours. And increased stress levels due to lack of sleep may lead to a negative attitude at work and home, further aggravating any existing factors leading to our work-life imbalance. While getting adequate sleep is a trendy topic to talk about, a loud voice is still out there telling us that working hard and foregoing sleep is the key to success. One example of this is Super Bowl-winning quarterback Russell Wilson who has coined the catchphrase "No Time To Sleep" (and the accompanying hashtag #notimetosleep). Wilson notes "I try not to get much sleep during the week. I may try to get five or six hours [per night]." That said, the voices trying to persuade us to get more sleep are getting louder and louder. Tony Schwartz, CEO of The Energy Project and an advocate for getting enough sleep, has a powerful message regarding sleep, noting that "sleep is more important than food" and "naps are a powerful source of competitive advantage." And the editor-in-chief of this very website, Arianna Huffington, champions the idea of taking naps during the workday, having installed "nap rooms" in the Huffington Post's New York office. Here's to a better night's sleep and more effective work-life balance!